At The Law Offices of Jeffrey E. Goldman, we represent employees in all employment law claims throughout New York. Our team of attorneys, Jeffrey E. Goldman and Dante D. De Leo, combines years of legal and professional experience in employment law, business litigation and other areas of practice. 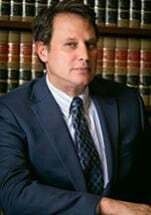 Whether you work on Wall Street and face contractual or other non-compete issues, are a bartender or server who has lost income due to tip pooling or tip misappropriation or are a nanny who has been denied overtime, our team at The Law Offices of Jeffrey E. Goldman will provide you with the counsel and representation necessary to protect your rights. We are accomplished attorneys having successfully obtained numerous awards and settlements on behalf of our clients. We encourage you to reach out to us, learn more about our credentials and past successes, and to discover how we can help you resolve your employment issues. If you would like to schedule a consultation, reach out to us at our New York City law office. We handle employment law claims throughout the five boroughs. You can click on each of our attorneys' individual profiles below or visit our website to learn more.